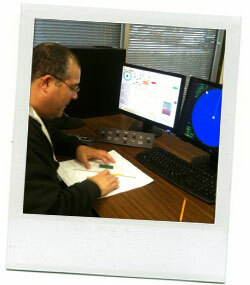 A team of professional licensed mariners teaches the 5-Day Unlimited Radar Course, 4-day Inland Radar Course. The Unlimited and Inland courses are run concurrently, with the Inland students completing on the 4th day and the unlimited students remaining for the 5th day. All classes consist of classroom training and practical assessment exercises on the TRANSAS ARPA simulator. Radar Theory will give you an overview of how a radar works while the radar simulators will provide you a chance to practice coastal/inland navigation and collision avoidance. Successful completion of this course will provide you with the skills necessary to become a "Competent Radar Observer". Any applicant who has successfully completed your 4-day Radar Observer (Inland) course will satisfy the requirements of 46 CFR 11.480 for an endorsement as Radar Observer (Inland). Any applicant who has successfully completed your 5-Day Radar Observer (Unlimited) course, including successful demonstration of all practical assessments, will satisfy the requirements of 46 CFR 11.480(d) for an endorsement as Radar Observer (Unlimited) and the radar training requirements for certification as Officer in Charge of a Navigational Watch on vessels of 500 or more gross tonnage (ITC). The practical assessments conducted in this course will be accepted as the equivalent of the following assessments from the National Assessment Guidelines for Table A-II/1 of the STCW Code: OICNW-1-2B; OICNW-1-2C; OICNW-3-1A; OICNW-3-1B; OICNW-3-1C; OICNW-3-1D; OICNW-3-1E; OICNW-3-1F; OICNW-3-1G; OICNW- 3-1H; OICNW-3-1I; OICNW-3-1J; and OICNW-3-1K. Applicants who have successfully completed your course need not present completed ―Control Sheets‖ for these assessments in application for STCW certification. Any applicant who has successfully completed your 1-Day Radar Observer Recertification course will satisfy the requirements of 46 CFR 11.480(d) for renewal of ANY a Radar Observer endorsement. Students must bring their original radar certificate and any Recertification certificates or their license showing a radar endorsement and expiration date. Upon request a student Radar Observer Recertification booklet will be mailed to your address. Completion of this booklet greatly enhances your ability to successfully complete the course.